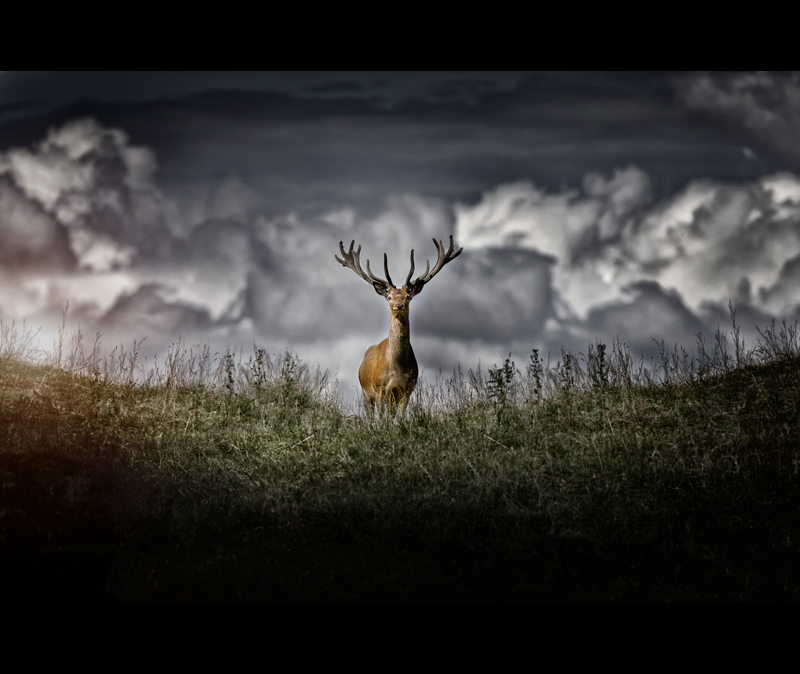 This week we would like to welcome Gledpark to AmbientLife. 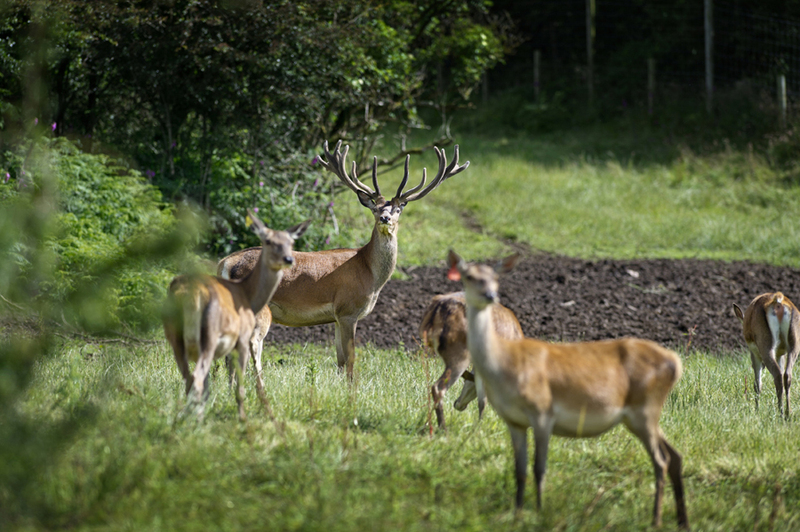 Gledpark is located in the South West region of Scotland and even though the business is relatively in its early years it is already the UK's first BDFPA/SFQC Park Assured Venison producer, a true testament to their quality and vision for the future. 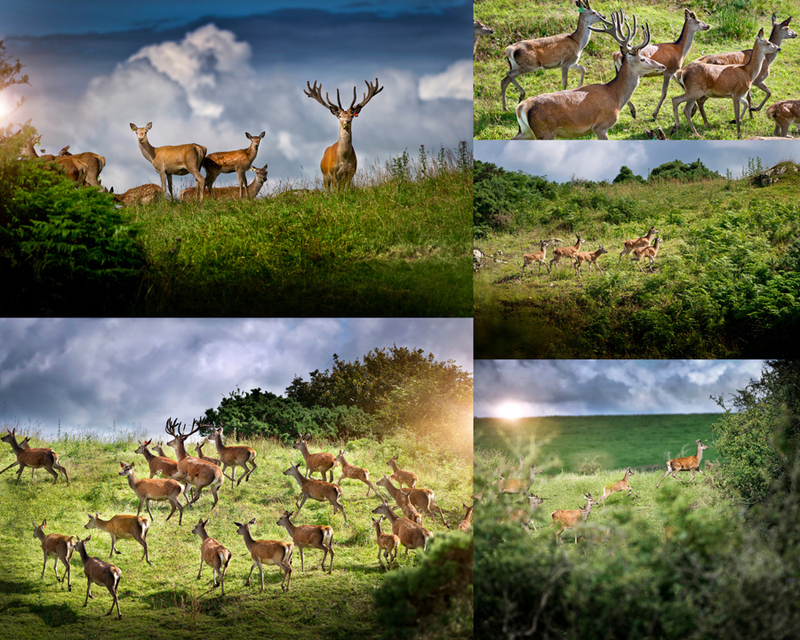 Gledpark contacted AmbientLife when they started to look into their online web presence and marketing, they had a clear vision for how they wanted to present their business online and needed high quality photography of their Red Deer and Pedigree Whitebred Shorthorn Cattle. Photographer Tim Wallace worked with the business owners to ensure that not only did we meet their requirements but also drove forward to give them some key 'branding' images that were the essence of their industry. Tim "It was great working with Gledpark in South West Scotland, for me it was a real change swapping four wheels for four legs. 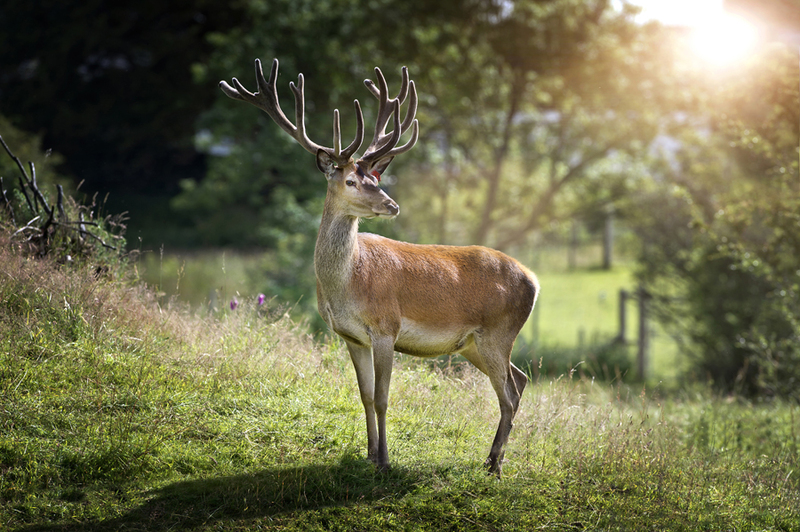 Gledpark is a relatively new business but is extremely focused and very dynamic in its own vision for the future and has already started to make great achievements such as being the UK's first BDFPA/SFQC Park Assured Venison producer. 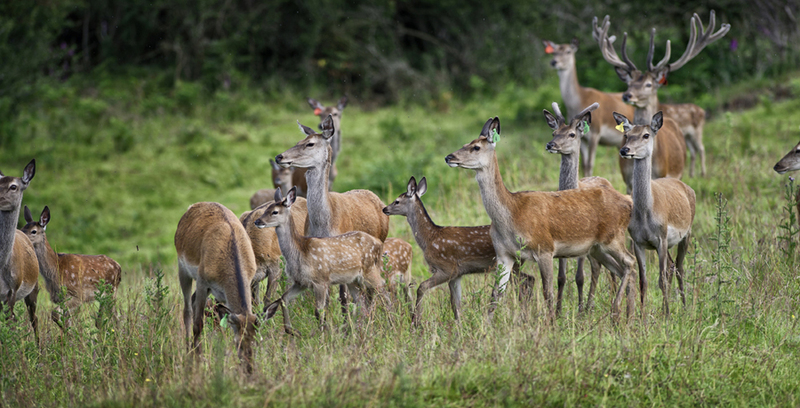 Gledparks Scottish Native Red Deer live as close to a wild existence as possible in vast open paddocks with plenty of cover and photographing these beautiful majestic beasts was a real pleasure. 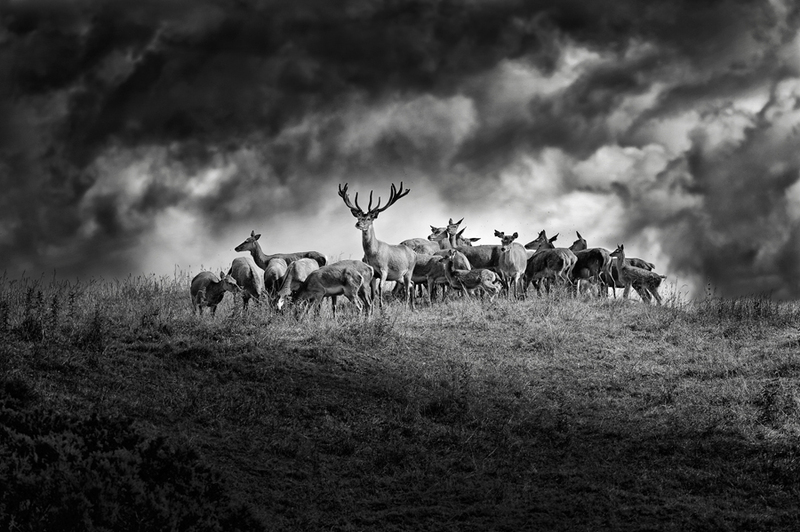 For me personally it was important not only to capture clear imagery of the animals but also to impart their wild nature, the majesty of these beautiful creatures and their very 'presence' A vast majority of the time I spent keeping my distance and following the Red Deer as we attempted to position them into the prime areas for shooting. On the day I choose mainly to use our Nikon 300mm f2.8, this lens is ideal for this sort of work and really delivers very crisp clean images with a very low depth of field making it ideal to get full frame captures whilst maintaining a manageable distance. 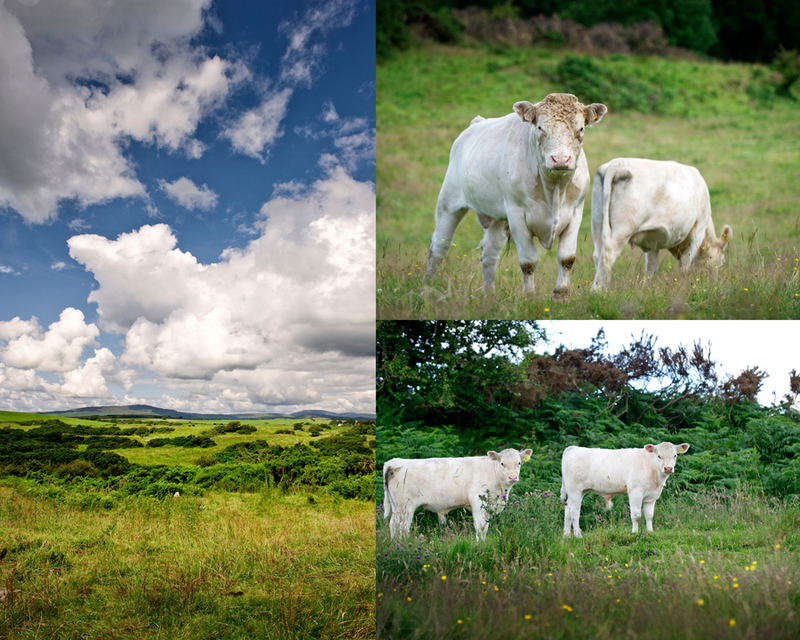 Whilst there I was also introduced to the farms rare fold of Pedigree Whitebred Shorthorn Cattle - how rare - fewer registered breeding females than the Giant Panda! With a fresh breeze off the Sea and clear views out to the Isle of Man I have to say that I envied the lot of Gledparks breeding stock as I headed back down the M6 later that day. We look forward to working with Gledpark over coming years and it is anticipated that within the next 2 months they will officially launch their new business website with the material we captured this week, we are very proud of our association with them and believe that Gledpark has a very bright and exciting future ahead"